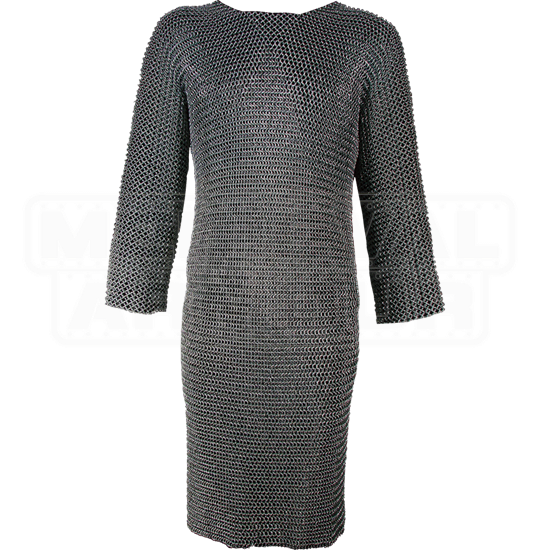 Before you set out on a journey be sure to have the necessary gear like the Riveted Long Sleeved blackened Chainmail Hauberk. Embrace the safety and comfort of an item like this when engaging in battle or reenactments. This armor was carefully crafted from 9mm gun blued steel. The riveted designs offers the owner a classic look that maintains true protection. The wide openings on the arms allow the owner to utilize offensive attacks easily and efficiently. This long thigh length model will be appreciated during any type of conflict you may face. 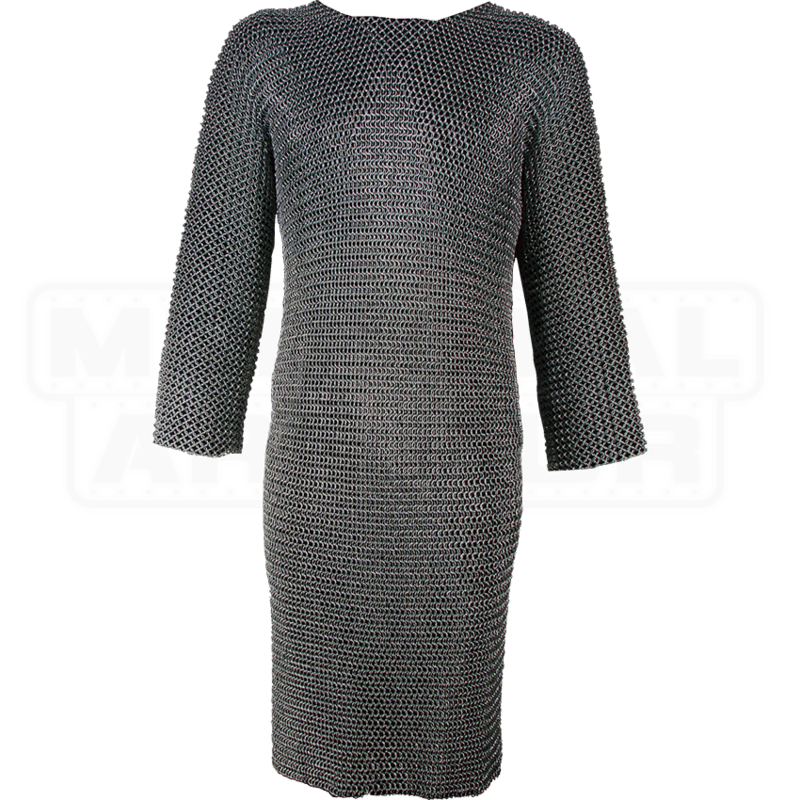 Never leave your castle without a trusty piece of armor like the Riveted Long Sleeved blackened Chainmail.